Projekt 8com: The idea to produce this CD was born during a search for different needs. 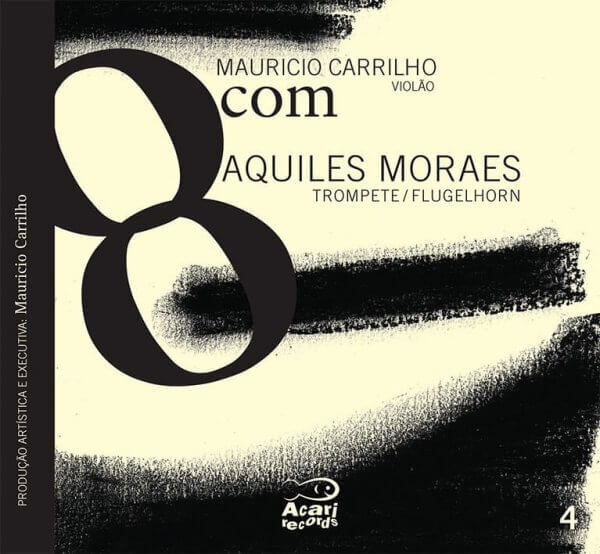 The basic idea was to make many of Mauricio Carrilho's compositions publicly available. He composed more than 1.300 Choro pieces! The second thought was that this series should open doors to young soloists who could use the CD as a platform to show their incredible musical talents. We live in a time in which Choro music reflects the influence of modern times and at the same time produces amazing musicians. However, this doesn't keep long established master musicians from participating in this beautiful project. The third thought behind the project was to fill the gap of didactic material for training musicians in the language of Choro at an affordable price. The CDs of this series work like a normal audio CD with 8 titles. From the 9. track onwards, the CD contains teaching material for solo players and accompaning voices as well as scores as pdf. 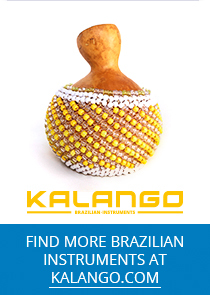 KALANGO is our own-label, under which we offer different accessories, intruments and custom-made products, which we either produce ourselves or have manufactured by different producers according to our individual ideas and wishes. This includes our custom heads with band logo prints, a large range of instrument bags, straps, surdo stands and a good choice of artisanal agogôs with 2 and 4 bells. Being musicians for over 30 years, we can influence our own-brand products directly and involve our experience, know-how, ideas and quality performance.